* Whether you need the perfect hair accessory for a beach wedding or the final touch for prom, this elegant hair stick is exactly what you're looking for! 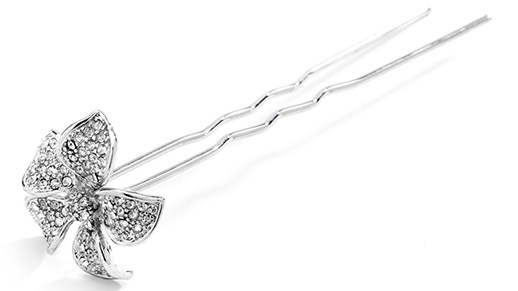 * The crystal pave flower is 1 1/2" w and is perched on top of a 4 1/4" pin. * Also great for bridesmaids!